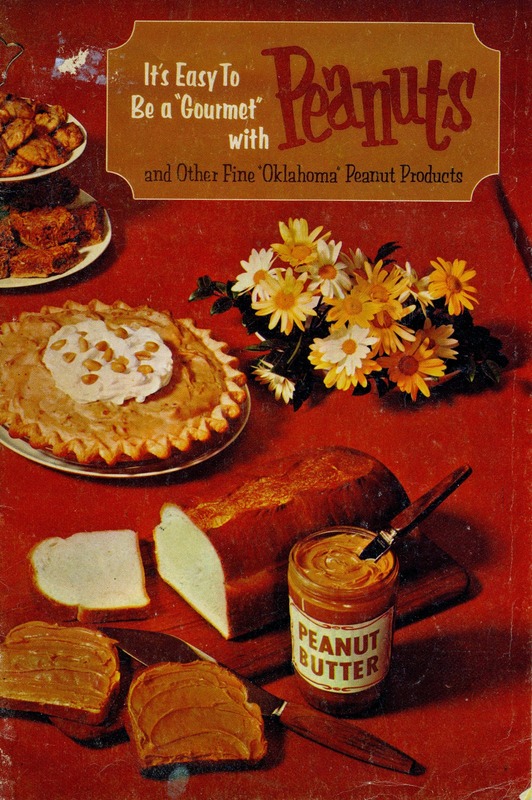 Farm Girl Pink....: ~ Cookbook for Peanuts! I have this box of miscellaneous things that have accumulated over the last year. As I have time, I have been scanning them. These older paper items just don't look decent when using a camera. 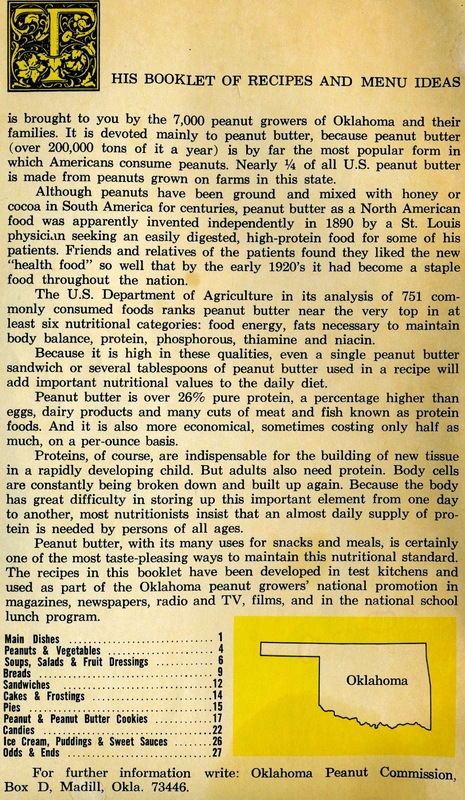 And I do have this smarty pants Epson scanner that I don't use enough.... so these are scans of an interesting vintage Oklahoma Peanuts Cook Book. There is no date on it. It looks to be late 1960's. 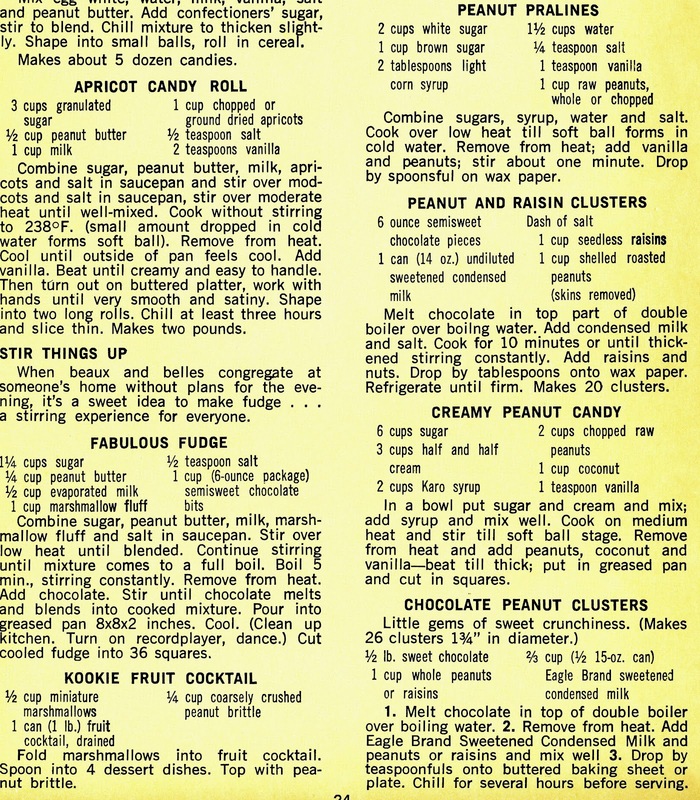 As I was roaming through reading the recipes... 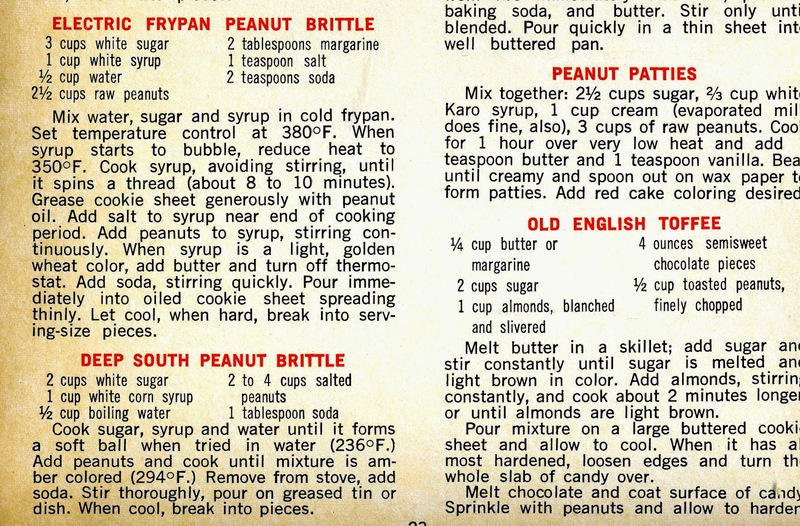 I came across some unique recipes. 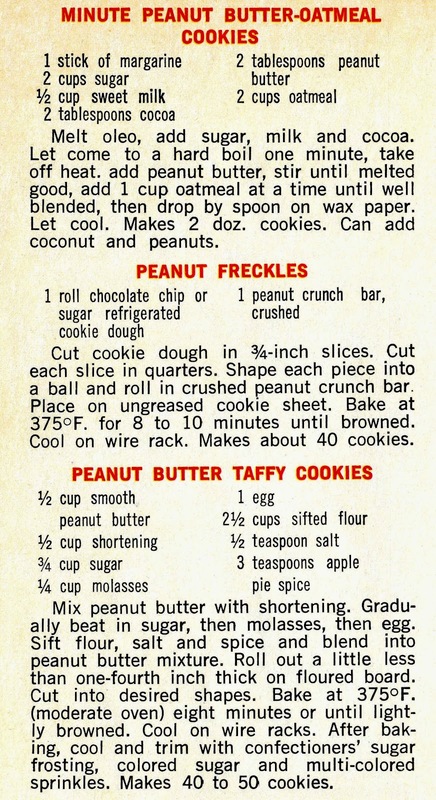 But I am more interested in the ones that end up being candy! 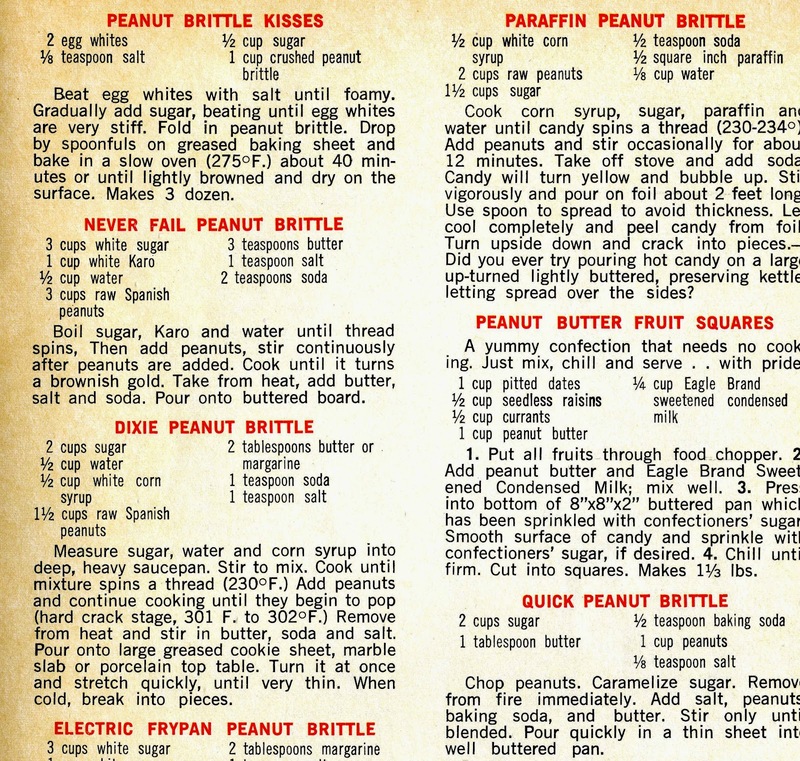 Seriously, I had no idea that one tiny cook book... could have so many recipes for Peanut Brittle. 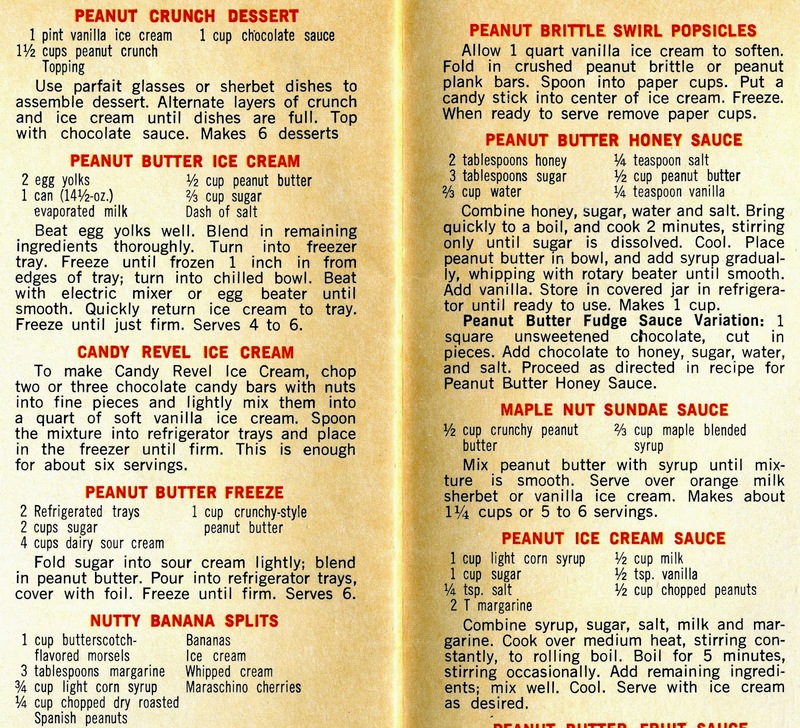 Did I mention there are also ice cream recipes and sauces to pour over that ice cream! 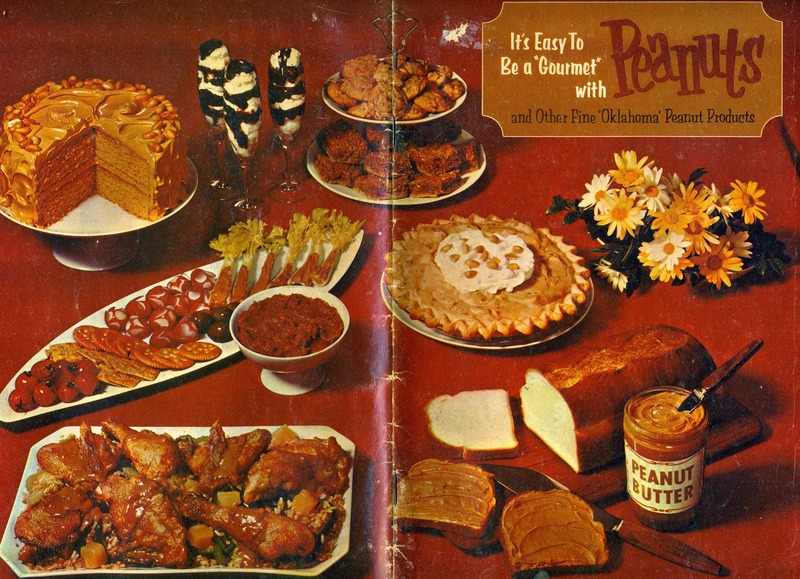 I am puzzled by the use of that brown table cloth used... with all the brown food.